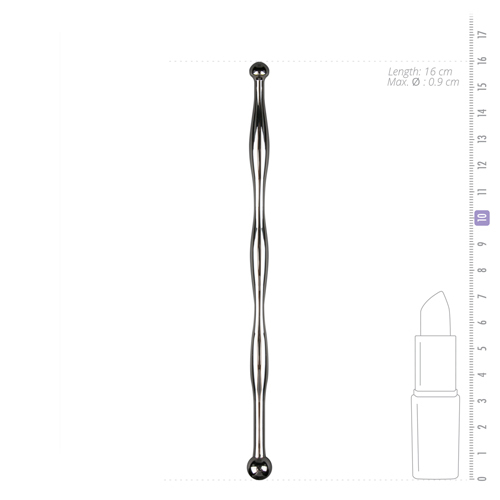 Burning Angel Whip Vibe SEXLEKSAKER | SEXSHOP: Stora DILDOS, Gratis Frakt! Joanna Angel's Burning Angel Toys Silicone & Rubber Whip Vibe. So hot it burns! Joanna Angel's Silicone and Rubber Whip Vipe is a whip and vibe combined! The discreet 5.5" x 1" vibe is covered in silicone ticklers and the 14" rubber tendrils deliver a sassy sting. A whip and an incognito vibe covered in silicone ticklers. Takes two AA batteries. Waterproof and phthalate free. Denna sexleksak inkom i vårt sortiment den torsdag 02 juni, 2011.